Lautaro Martinez playing for Inter. 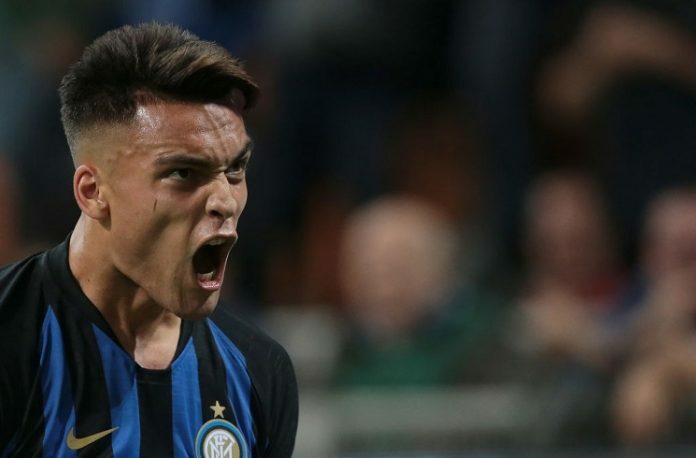 Lautaro MARTINEZ gave his thoughts on Mauro ICARDI, Javier ZANETTI and Lionel MESSI. “He’s been helping me since my very first day here. He helped me to change some habits and he explained me what I had to do. We are very close, we get long on and off the pitch. He always tells me that I can call him anytime, his mobile is always on”. “ZANETTI was waiting for me in the club’s headquarters when I arrived. He welcomed me and he keeps calling me to know how I feel and to tell me that I have to work hard, regardless my game time. MESSI? I’d ask him to play for his entire life and I hope he will return in the national team. I shared the dressing room with Diego MILITO in the past and one day I’d love to play with MESSI and other players of my national team. I’ve never played one single minute with him on the pitch but it’s one of my targets”. We can stop looking for new talented players because Romance Sampaoli said so. Hopefully he posts his lineup again for the 50th time in case anyone missed it. that our friend here is in love with this player more than Wanda Nara is. But seeing his posts is refreshing. No offence Romance, We love you here you know ! Congratulations to Batista and to kids. get ready to eliminate your dreams for qualify. time to show to the rest of the world the truth about your so called “talented” , “elite” and “world class” young players. i am tired with the Brasilian and media propaganda which saying that just because one person born in Brasil automatically is the best player in the world in football. and if one child is not from Brasil is not good enough to be best. We top the groups now and got the WC spot! If his team beat Brazil. Still his 23 squad selection was very stupid. Now lets hope that his 23 squad will make sense for world cup. Jesus Christ what idiotic red card was this !!! the only excuse is that we speak for 20 years old child. Finally Maroni did something good. 2:0! You can’t see a player as a whole. His positive contributiion (also in defence) is massive, despite some clunky moments because of his height. Yes, he looks like future NT striker. BTW that Pratto had scored more goals in last qualifiers than so called ‘elite level strikers’ that had played many more minutes than he did. What? That Pratto failed in Seria A, where our best strikers score 20+ every year , and this Gaich wil fail too, unlike the worst striker of NT history Martinez, who wil be great with time, where are your eyes again? And still Pratto scored more goals than Aguero or Higuain in qualifiers. Fact. He failed in Serie A. And what? Papu Gomez failed in Ukraine league and then now he shines in Serie A… Pratto is hardworker like Gaich – that’s why he scored more goals in qualifiers. Yes Pratto is so fckin hardworker that he cant even score goals in River…brilliant logic, why he cant even produce in weaker argentine league then? Old horse Lisandro Lopez and mediocre Gigliotti destroy that league, so? One good match or 4 5 is nothing, we have to see the talent-level, theres no time for idiot experimenting in NT, and absolute misleading, like in Meza case, from the first time was clear the guy is a clown, but one good match vs Spain (in a 1:6 loss wow) mislead everybody, like Pratto and Gaich (so i see the talent-level only), btw you said Meza will play in good european club soon, where is the guy now? but we are talking about facts, not suppositions. But who is here long term player? Aguero, Higuain? Pratto was scoring regularly in Brazil and score important goals for River not being top goalscorer. But Gallardo still starts with him. Why? Because the team is better with him even if he does not score. That’s the quality of hardworker forward. Something beyond your understanding. His size and strength are already excellent at u20 – he is likely not finished growing either. The work rate he brings up top are 2nd to none – he has consistently been one of the best players on the field. With more time to work on the details of his game, he could be an excellent hard working, target forward for the national team. Better than anyone else currently waiting in the wings and a real prospect. Maybe you need glasses Csabalala, or you don’t know how to spot talent. He is as always frustrated when our young boys are winning. Because he is hostile of our future. What player from any country at 19 can you compare to the shooting and dribbling of Icardi? Name one other striker in the tournament who you feel is better than Giach so far? You are comparing apples and oranges. These are 17, 18, and 19 year old kids. LOL elite shooting. At this age, you are looking for talent and potential. Not ready to play in the champions league finals. This is how blind you are. For you just big, physical. So if he is not Mbappe or Messi, some of the worlds top 5 players, he is bad? Got it. You don’t think with logic. And did the 50 mln Rodrygo scored hat-trick on this Sudamericano like Gaich? All your football is just money and fame. Rodrygo, Vinicius-jr, Mbappe, and Sancho are all wing forwards. Not the same role as Gaich, a classic striker, therefor a false comparison. Plus, you never answered my question. we don t play bad but really makes me tired to watch so many wrong passes. we look like we run to catch something but really there is no reason. anyway. i don t want to complain. Now we need good organization in defence. actually we need 1 point to qualify but of course win is the only result we desire. So far we are better than Uruguay. Except one defensive come back Maroni is disaster another game. What a goal by Moreno! 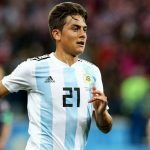 @Gonzalo, Please Can you provide me a link Argentina sub 20 now? This might be off topic, but look at the Clásico last night against Barcelona and Real Madrid. Who were the star players that game? Wasn’t Messi. He only played about 30 minutes and then didn’t even play too good, or his usual standards. Suarez? He was awful that game. Ramos? Marcelo? 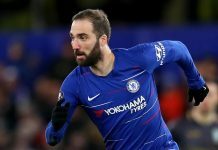 Benzema? Busquets? Rakitic? The star players were Malcom, Vinicius and Arthur. They are young Brazilian’s already playing for the best two clubs in the world. Arthur (22), same age as Lo Celso but better known, Malcom (21), and Vinicius (18) Madrid’s best player that night. This notion that Brazil does not have a future is far off. Their future looks bright, frightening as a matter of fact. Between Barcelona and Real Madrid, there used to be lots of Argentinians, Messi the most obvious, Higuaín, Di Maria, Gago, Mascherano, etc. Now there is only ONE! In order for there to be true talents for our country, we need more Argentinians in either team, doesn’t matter which one. Brazil is doing that to perfection. They have 4 Brazilians in Barcelona (granted Rafinha doesn’t start much but he’s still there) and Madrid have 3. Meanwhile between Barcelona and Real Madrid, they have one Argentinian. In order for our NT to get better, we NEED more Argentinians in either club, PERIOD! Dontbethatguy, first of all malcom is on the verge of passing through the exit door from barcelona. They spent an enormous amount of money for a youngster (the usual hype concerning brazilians) and he didn’t live up the expectations. He rarely plays for barcelona. Vinicious is a talent indeed but he didn’t do something special in order to justify the hype. He is very young though, but on the other hand you can’t just hype an 18 years old player that much unless if he is a young messi! Arthur is a good player but still very far away from calling him world class. Don’t get me wrong, i am not saying that they are not good players and i never said that young brazilians are not talented. On the contrary, it was several argentina fans in here that said this for Argentine youngsters quite many times! I just think that brazilians are way too overrated and yes their youngsters are definetely not scary! And speaking with the same logic as many did in here when they were criticising our young talents, how brazil youngsters are so scary when they are sitting on the bottom of the table of u20 currently?? I am sorry, but i just don’t buy the brazilian hype! If you want us to speak about french or italian youngsters as a fellow fan here stated then yes but not about brazilians. They don’t have nothing that we should envy about apart from their current manager. Players from other countries . And talking about sancho sane De jong Arthur . Good and they will Improve a lot. And they didn’t win us anything for the Nt. Not win anything with Argentina. 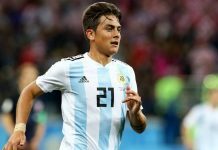 So what our young players had done nothing yet bad performance in in U-20 world cup they got thrashed by england argentina was known for winning this tournament with messi generation they had won 2 continious U-20 world cups. This is the perfect reality of argentina is not producing talent as usual. That is right! It is well known that we have won the most u20 world cups, we can’t win them all! And what Brazilians have done in these tournaments lately? If Argentina was at the bottom line of the table, where actually brazil is currently, some people would have been saying how Argentina’s youngsters are no more talented while now they are still praising Brazilians. I tell you what, some of you in here are praising brazilian players even more than braziian fans do! Seriously man, do just come here to spout negativity? I have yet to see you say something positive, NOT ONCE!!! Who ever said that Brazil has no future? This is Brazil we’re talking about, a production factory of talent! That hasn’t changed and I don’t see it changing. With that being said let’s not get ahead of ourselves here, thus far Malcom had one…read it ONE good game and now you’re making it sound like he’s Barca’s star? The kid’s got talent thats true but to say that he has struggled thus far is an understatement! And then there is Coutinho, who thus far has been a disappointment despite his immense talent. So you might think Arthur is more known but one of Spain’s biggest football magazines disagrees with you. Now let me get this straight, so you think Argentina will only be alright if they have more players in Barca and Real? Why? and why those in particular? What about Atletico or City or Broussia or Juve or PSG, do those count? cos each and every single one of those teams have a young argentine in their squad. I don’t mind constructive criticism but you really need to rethink how you post comments because negativity seems to be the only word in your dictionary. Is Argentina the top of the heap when it comes to talent right now? No but they sure as hell aren’t doing too badly. You’ve got Icardi, Dybala, A.Correa, Celso, Paredes in the attack and midfield and you have the likes of C.Romero, Foyth, Balerdi and Licha Martinez in defense so the world ain’t falling apart! Relax and try some positivity for change. Playing in Real and barca can’t make superstar, Is any u25 superstar like Dybala or Icardi in Brazil who rumored to carry real madrid as main man. Argentina have majority of players playing as a main man in top clubs unlike Brazilians playing supporting roles, except Neymar Brazil don’t have any superstar where Argentina have so many superstars. Paredes played a decent game against Villefranche but the opponents stayed behind and there was almost no pressing on him, obviously too easy for him. I guess that Tuchel will put another DM next to him when they play against a real team. The key of the big game vs Manchester will be the partnership Paredes-Mbappe. Its a bit short but feasible. So bad that in the national team, we don’t have fast player in attack. 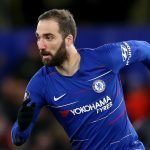 He recently returned to light training in order to push for a comeback by March, but after making excellent progress, Pellegrini reveals he could face Fulham on February 22. “We hope that Manu Lanzini will be ready for Fulham, at least for the bench, if he continues working over the next two weeks,” the Hammers boss said. Good to see Talleres Cordoba – Sao Paolo 2:0 in first leg of Copa Libertadores qualifiers. For talent hunters Talleres is most worth attention in Superliga, along with Velez and Defensa. Tomas Pochettino (once Juventus target) and Ramirez (outstanding dribler) with the goals. Godoy (close to NT), Cubas, Ramirez, Herrera (called up by Scaloni), Pochettino are really good. Unfortunately Defensa lost to Botafogo 0:1 in first game of Copa Sudamericana. Although they have played without few crucial players like Lisandro Martinez, Leonel Miranda and Gaston Togni.